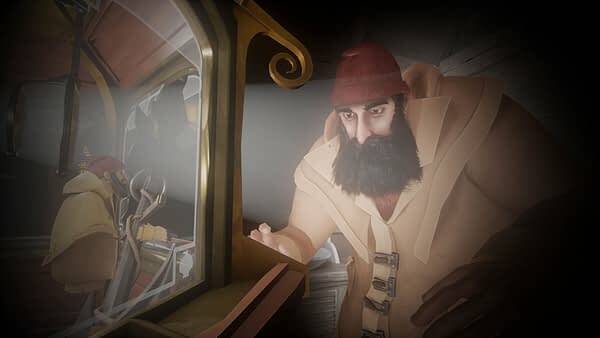 Over the weekend, Vertigo Games shared a new trailer for their upcoming VR title from Innerspace VR called A Fisherman’s Tale. We’re actually intrigued by this one as it’s a bit of a surreal puzzle title with a guy who is basically a puppet living in the woods. It’s weird but in a delightful way. Enjoy the trailer as we hope to see this one at PAX West before it’s released int he fall for PlayStation VR, HTC Vive, Oculus Rift, and Windows Mixed Reality VR. Can you make it to the top of the lighthouse and turn on the light before the big storm? As you attempt to leave your cabin with the help of some uncanny sidekicks, you realize what’s waiting outside is not at all what you expected and that you will have to twist and bend your new, peculiar reality to solve the mind-bending puzzles on your path. We can’t wait for you to experience A Fisherman’s Tale when it comes to VR later this year. And remember, even though fishermen’s tales sometimes seem tall, there’s always a little bit of truth in every single one of them!